The whole genre of technology trends is an odd one. All year round technology companies keep making predictions about what is going to hit next… with a healthy dose of backslapping about how ready they are to embrace it all. Then the end of the year arrives and everyone tackles the subject with renewed vigour. 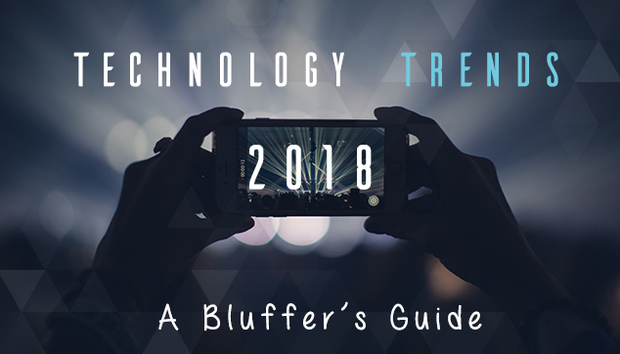 This bluffer’s guide is an attempt to make sense of all the big trends being touted for the next year and provide some perspective on what they might really mean in practice. Because for all the big pronouncements, technology is a slow evolution. This means despite the constant fluff and guff – a lot of things will actually continue in more or less the same way. What is this? Nobody is quite sure, but it is a term which has been doing the rounds for at least eight years, with escalating frequency. It covers the entire spectrum of the move towards the cloud and digital… and as technology keeps improving the bar keeps rising.